The AIR MECHANIC is a software product of the "INTEGRAL" project, which implements convenient features to perform portfolio scalping with the ability to widely diversify trading risks. The AIR MECHANIC trades one deal at a time, always uses SL that protects the trader's trade account, and never uses dangerous methods of money management, such as martingale, hedging and grid techniques. I have been using Air Mechanic for 3 months. I run lots of scalping EA's and Air Mech has been the most profitable. Results mirror Igor's signal which has performed very well in what have been difficult scalping months. 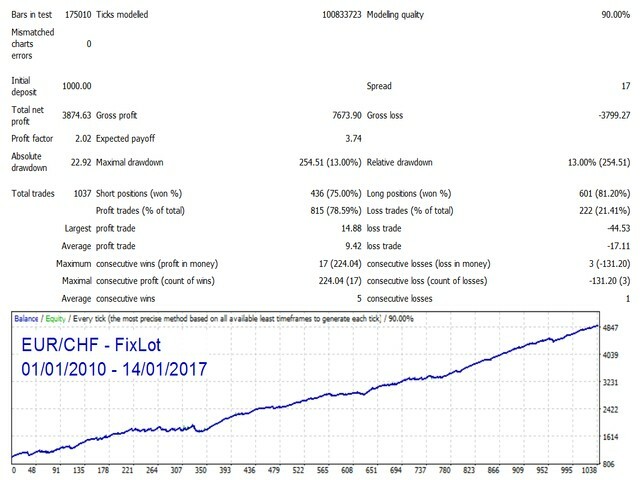 A good price, and organised set files plus a a live signal which has been running for 19 months with profit over 300% and DD a comfortable 24%. Nice one Igor! Nowadays the ea seems to work good again. The author deserves my respect. He had a lot negative comments to answer, some of them saying go to aida, but this ea shows even way better reults as we now can see. The ea performs pretty goods especially the last month's. 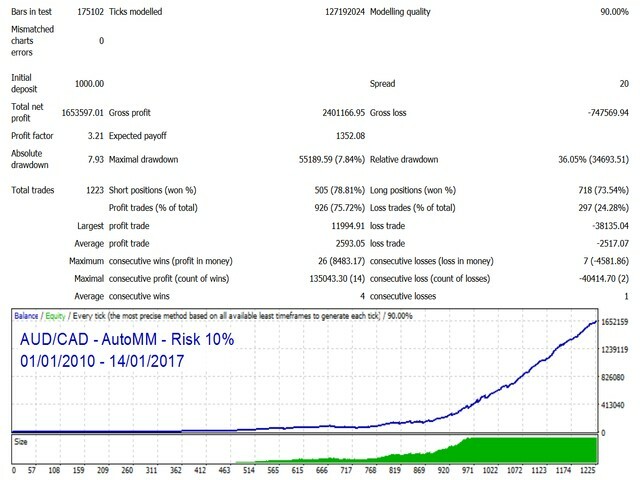 The month of august 2017 with a loss of -21.94% was very unfortunate, however the profit covered the loss and now it shows good results. Lets see how it goes, I started it again. Air Mechanic keeps losing trades, as usual, for about a month now. Based on the current market conditions, the majority of EA developers are now optimizing their EAs in order to work in similar conditions. They even started to provide the people who purchased their products with new settings and even updated versions, but the developer of this EA still insists that the EA is best and that the market itself is not good so it is the mistake of the market and not the EA.It seems that we lost the money we invested in this EA as there is no hope to receive an updated version which can last for years. in addition to that we lost more than 25% of our account balances. The EA keeps losing trades resulting in a DD of 22% in almost two weeks. 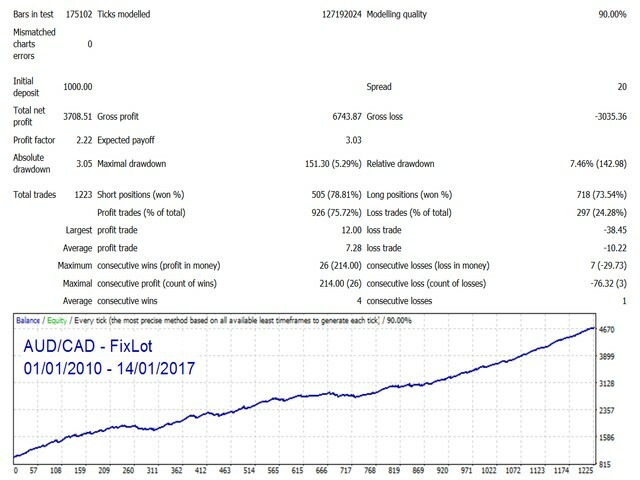 The strategy utilized failed to place a single trade with a decent profit in these two weeks, only consecutive loss trades. The entry point is not accurate and the risk/reward ratio is very high. The author has no interest to update nor to optimize the EA. I will keep updating my review weekly. I think it is time to confess that there is something wrong with the AIR MECHANIC trading strategy and its large stop loss limit (risk to reward ratio). The overall performance of the EA during more than six months is much lower than expected. In a week we lost about 18% which indicates that there is a serious problem with both entry and exit strategies, even if the market conditions have changed. Now it is time to say that it seems that I lost the money I invested in this EA. I also lost a big money due to the utilization of it as well. My decision now is to disable it until further notice. the author needs to review the whole strategy and to accept the comments of customers as he replies to comments in a not acceptable way (refer to his comments in the comments section). He should limit losses by using a dynamic stop loss system based on support and resistance limits as well as to include a news and volatility filters in order to reduce risks. He also did not evolve the technique nor the EA since January and he always insists that his EA is perfect in its current version which completely doesn't make sense . Why not to program the EA to trade with half lots after any loss (money management) or event to stop trading for three days after reaching a DD of 5% for example. why not to utilize more indicators which help to avoid trading in these market conditions?. This version must be modified and he should include more features including news filter, more indicators, dynamic stop loss, good risk to reward ratio and money management. I also advise the author to avoid toxic pairs ( not stable pairs) such as CHF. All these losses took place when the EA traded CHF pairs in the last week. I will keep updating my review. The EA is promising and proved its effectiveness over a time period of three months. With regard to the losses incurred in the last week of the last month and in particular the last three days, I think that the next version of the EA should be modified to include the below. 1- A Break even exit strategy or something similar (limited martingale-hedge)to protect your investment when things go against the opened trades. 2- Automated News Filter. I think it is a must. 3- Very Important: to limit correlated currency to a maximum of 1 or 2 pairs only (to be selected by the user). For example,two USD only in addition to two CHF only, and so on. This will prevent the EA from opening 5 pairs of USD which will significantly help when the USD goes against the strategy (this will save our accounts from huge losses). 4- A safe mode(dynamic SL) based on channel exit approach in order to reduce the very large SL utilized (400 - 900 points). 5- To add a protection system that gives an error message on the chart if you applied a wrong setting file to a chart. 6- All parameters should be re-optimized to consider the current market conditions and to avoid having such a big loss (11% in three days - Risk factor=1.1 (small risk)) in the future. I hope you could include all of these points in your next version. They are really needed. N.B: I will update the score to 5 once the next version is released. Do not buy. Serious warning. Igor, I have owned and used your EA for quite a while past but I didn't do a review before because I don't like to sound negative. But you would have seen in my comments over the past few weeks that this EA was destined to fail and I was waiting for you to get some kind of wake up call. Actually, coming from a 15+ years trading back ground the way to fix this EA is not too complex or difficult. Quite a few of the night trader EAs have the same problem and the solution is applicable to all of those exhibiting the roller coaster draw downs. 2. The easy fix is as follows: Allow a ceiling for loss protection and introduce dynamic lot sizes. The trader dials in what % of the account he is prepared to lose. EA then keeps its original stop loss but calculates the lot size to suit the % amount that trader has specified as max amount he is prepared to lose. 3.Immediately after the trade is opened EA looks on M15 for the nearest support and resistance level and moves SL to that level. This introduces dynamic stop loss. With this EA, I lost a lot of money! It's not worth it! I have experience with a few other night traders. Air Mechanic currently shows the best entry signal. Therefore it can stand the position longer open to get more profit. Of course you will get SL as well, but it hits more often than it looses. Some pair will loose , others will compensate. It opens regularly. Good for rebate service. Air Mechanic is able to enter the market early and to leave late. Also it makes fast profits. If profit or loss is not enough it may trade long into next day. So it is kind of a hybrid taking chances late evening and into next day. Trades are almost identically to the authors signal. If things change in will update. I miss a news filter at least for USD. I will update to 5 stars if things go well within next weeks. Update 2017/08/03 - I keep my 4 stars. Trades match the ones from vendor signal. My advice to all with higher balance accounts: reduce the risks to all pairs to 2% (maximum 4%) to protect balance. Of course true for most expert advisors in the market. One month testing and all blown in two nights. This EA is by far not enough mature, it has not news filter or breakout detection against the trade. Also autolot is very difficult to set due every pair needs a different value to be set. I still have another month to run the EA, hope I can change my rating to a better one. Update 1: No more chances, EA disabled. Luck for me I didn't enable EURCHF this week. So much DD in 3 days, I don't think the EA is capable of recover in the rest of month. I'm sorry for the just paid rent. Stop losses are HUGE and although losses are not always that big, when it does finally hit the SL it normally wipes out weeks of profit. This EA is very bad. After one month using on IC Market ECN Account I have only loss. EA is using big SL, and today I have loss - 400 EUR and week ago -150 EUR. Onetime its huge move on EURCHF, now on CAD. what will be next? In backtest is perfomance not good as well. Author is helpfull, he is trying optimize settings every month, but what kind of EA it is? I can develop also some EA which needs to be opitmized every week but you cannot predict future based on the past and trying to optimize. EA should has some protection in built, and using great indicators. We be aware of this EA!!! The loss will come but you dont know when. I was using it whole july, almost 3 weeks i was profit in 500 EUR, I said waau, such nice EA, but then big loss. This EA is like casino, it haas nothing more. Just like cassino. 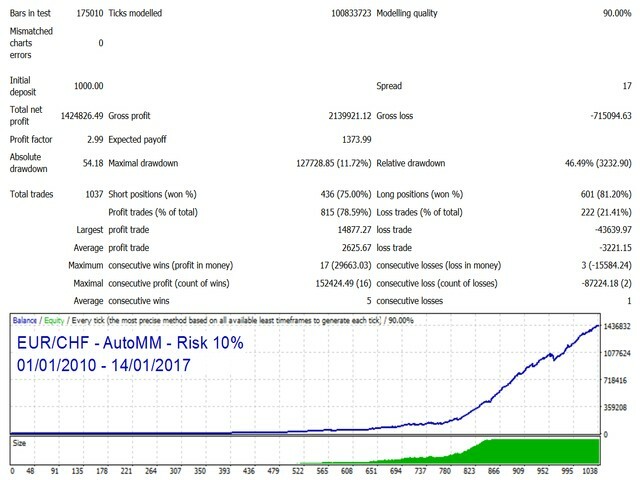 The default settings scored an impressive 17/17 trades 100% success rate. Put on the adjusted and individual set files and loss's began to appear. End of one month trial period author raised the price of the product but the product failed to deliver performance in line with pricing. End of trail I was no better off than in the beginning after EURCHF and EURJPY were not handled by the EA satisfactorily. In my opinion this has a lot of promise but fails to deliver when a loss begins. It needs a break even exit strategy or something to protect your investment when things go south. At $100 probably worth the money as long as you don't risk a large account. At $449 I don't think it is worth the price by it's lack of consistency to deliver reliable results. Great EA with great results and outstanding support and management of improvements for the EA from Igor!!!! Running since last week (6 July) as rental. Already made back almost 50% of the rental fee as of today (12 July). Will update this review for the times to come. I've only been running it for 10 days, I will give more updates later. The EA has been profitable so far and the author is helpful. I'm very pleased with my purchase and highly recommend this EA. Use it how the author says. Советник показывает стабильную прибыль при небольшом количестве убыточных сделок. Не дает просадке расти, сам закрывает убыточную позицию. В рынке всегда стоит одной позицией по инструменту. Никаких усреднений и мартингейлов. Спокойная выдержанная работа. У брокера не возникает вопросов по работе советника. Автору большое спасибо за отличную работу. Надеюсь, что данная стратегия будет еще долго приносить нам всем деньги. 5 stars if i replicate developers performance. Well coded and lot of effort. Good EA, so far so good. Абсолютно безопасен для депозита, хотя иногда и ловит стопы (они есть, это уже хорошо), но быстро восстанавливает потери. То есть имеем два состояния работы, это либо топтание на месте, либо рост, что в целом (долго срочно) обеспечивает рост депо. Опять же гибкая настройка, можно поставить агрессивную торговлю и "разогнать" маленькое депо, а можно поставить на большой депозит и получать стабильно маленький процент(с минимальным риском). Using EA Air Mechanic on a real account from beginning of February 2017. Results about 10% per month with reasonable draw down (max 15%). Seems to be working fine. Excellent EA and author . Mr Igor is always helpful and patient to his customers , looking forward to his new works. Testing for two weeks now on two different live accounts with good results! Added the function to set the trading pause during the market rollover. 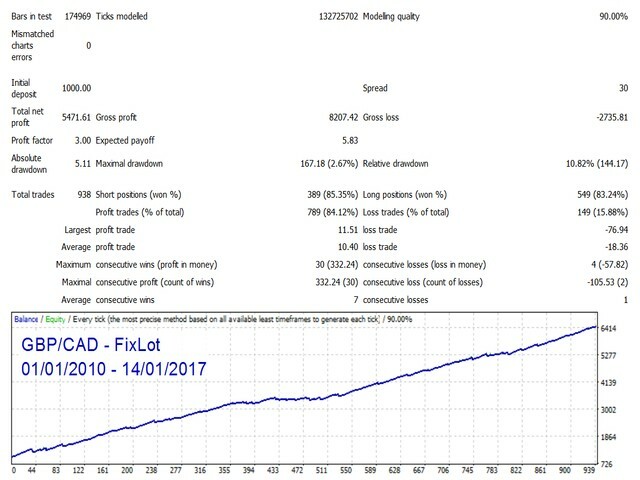 Changed the algorithm calculation of trading lot. 1. 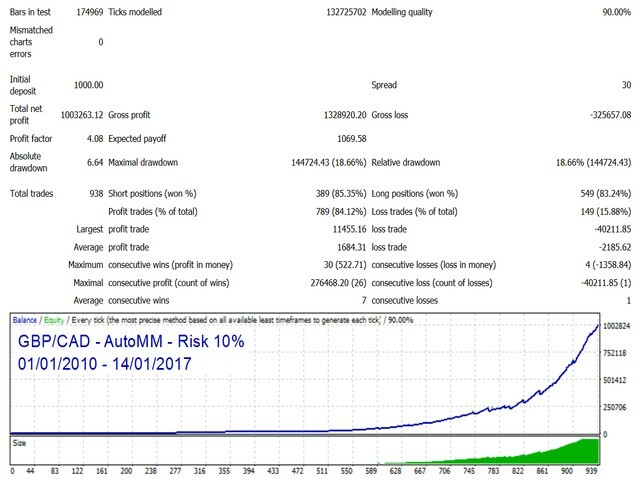 Added a trading algorithm for an additional strategy. Now the user can choose which strategy the EA should use: Strategy 1 or Strategy 2. 2. Manual setup has been simplified.